One of my newest cookbook acquisitions is The Essential Chocolate Chip Cookbook. I’ll admit that I wasn’t immediately sold on the book on first sight. After spending a few minutes flipping through its pages, I was definitely intrigued. Its recipes proved far more interesting and varied than I would have thought. This book is full of tempting recipes, all packed with chocolate chips. Chocolate Chip Cookie Dough Cheesecake Bars, Chocolate Chip Bread Pudding, Hazelnut and Chocolate Chip Tart. Don’t those all sound delicious? 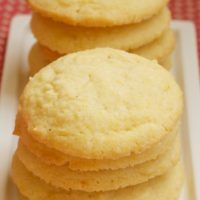 These cookies were one of the first recipes that caught my attention. 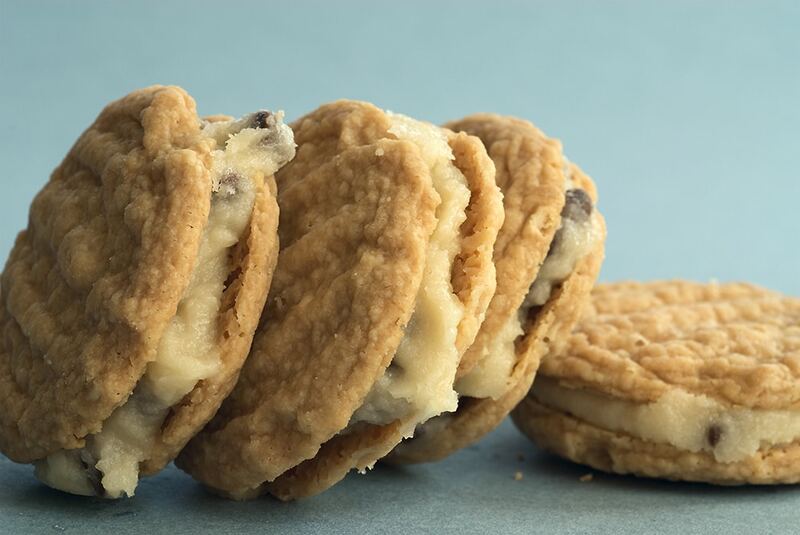 A buttery sandwich cookie with a sweet chocolate chip filling. How could I resist? I started making these a little later in the day than I would have preferred. While they aren’t difficult or time intensive, the cookies do have a long baking time. With multiple baking sheets, that really added up. I had one slight problem with making these cookies. I couldn’t seem to get the size of them right. 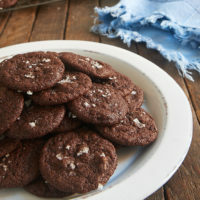 I inferred from the cookbook’s photo that they would be dainty and small cookies. The first batch spread a good bit and were much larger than I had anticipated. I resized and reshaped the remaining dough, put the baking sheets in the refrigerator for several minutes before baking them, and got a more reasonable sized cookie. In retrospect, I think that the butter was a bit too warm. It was to be at room temperature, but I think just getting it softened would have kept them from spreading so much. That little hitch aside, I adore these little cookies. 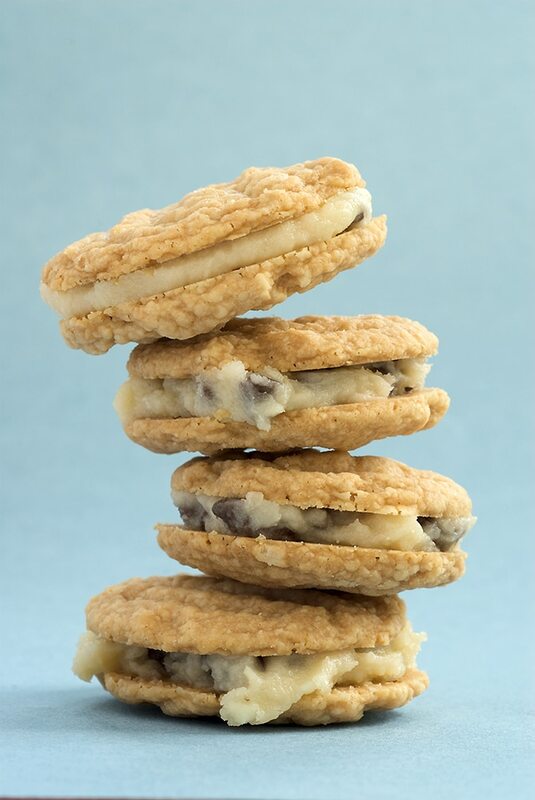 The name “Melting Moments” is really quite appropriate, as the cookies seem to melt in your mouth. 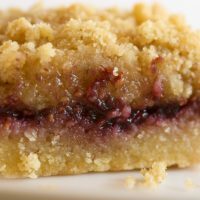 On its own, the filling is very sweet, but combined with the light cookies it is just right. And, of course, they are so lovely to look at. Now, for a little treat for one of you. I have an extra copy of The Essential Chocolate Chip Cookbook that I will gladly send you. To be the lucky recipient, just be the first to guess how many chocolate chips are in the container pictured above. The only information I will give you is that these are standard-sized Ghirardelli chocolate chips. Leave your guess in the comments for this post by 12:01 AM Central Time Friday, April 25, 2008. The first person who guesses correctly (or gets the closest) will have this new cookbook for their collection. Please, limit yourself to one guess. I’ll announce the lucky winner some time on that day. Good luck! UPDATE: Contest is closed as of 4/25/2008. 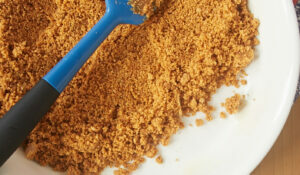 Sift both flours, cornstarch, baking powder, and salt together into a medium bowl. Set aside. Using an electric mixer, beat together butter and sugar at medium speed until smooth. Scrape sides as needed. Mix in vanilla until blended. Decrease mixer speed to low and add flour mixture. Mix just until combined and a smooth dough has formed. Use about 1/2 tablespoon of dough for each cookie. 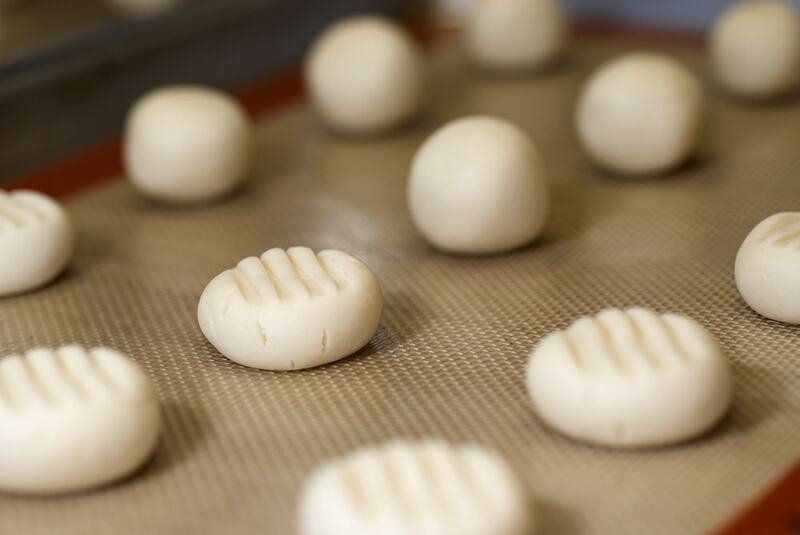 Roll each into a ball and place about 2 inches apart on lined baking sheets. Flatten each with a fork to about 1 & 1/4 inches in diameter. Bake sheets one at a time until the bottoms of the cookies begin to brown, about 25-30 minutes. The tops should not change color. Cool on pan for about 10 minutes, then transfer to wire racks to cool completely. Stir together butter, sugar, and vanilla until smooth. Stir in chocolate chips. Turn half of the cookies over and spread about a teaspoonful of filling on each. Place the remaining cookies on top of the filling. Press gently. 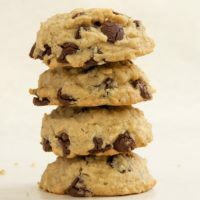 Recipe adapted from The Essential Chocolate Chip Cookbook. I’m gonna guess 410. The idea of a whole book dedicated to those yummy morsels is right up my alley. I’m excited to see the future treats you are gonna test here. Going to try this out this weekend. Cheers! My guess is 546 chocolate chips! These cookies look mighty delicious! I’ll have to try them out VERY soon! My guess is 649 chocolate chips! The cookies look great! I’m always up for a good chocolate chip recipe. Hi! Wow those cookies look so yummy!!! At this time of the morning they really are an attempt to my diet! Chocolate flows in deep dark, sweet waves, a river to ignite my mind and alert my senses.Chocolate doesn’t make the world go around … but it certainly makes the ride worthwhile! 1324 chips in the container. My guess is 503 chips! I enjoy your blog so very much! 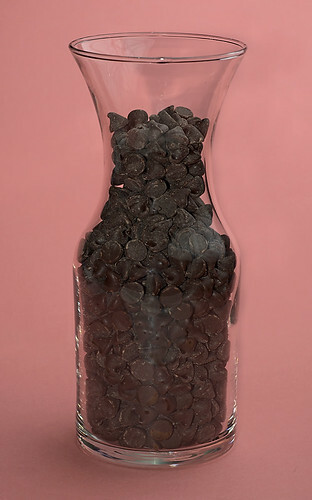 I believe there are 324 chocolate chips in the carafe. 453 chips! love your blog! 357! Your pictures are fantastic!! that picture is gorgeous! just when you think you’ve seen every type of cookie out there…! Hmmm…810. i love new ways to eat chocolate! great photos, too. 1335 🙂 it would change by the minute if I were there. I’d be eating them right out of the jar. great pictures, love your blog. A whole book of chocolate chip recipes sounds wonderful. Great photos! Come on # 389!!! 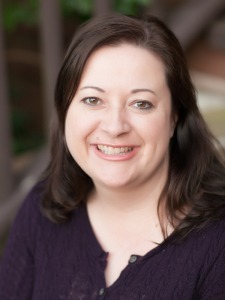 Your blog is gorgeous! 345 is my guess. the cookies look yummy! 492 and I’m definitely going to be trying this recipe out soon! yum! Boy, those cookies look good! Those cookies look amazing, Jen. 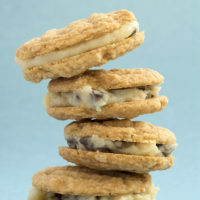 I love melting moments, and adding choc chips to them is just genius! I’m guessing 289 choc chips. I can’t wait to see the cookbook! Chocolate runs through our blood! My guess is 533. My guess…350. Wonderful looking cookies!! My guess is 377 yummy chocolate chips. yummmm! the best t-shirt i have ever seen had a pic of a choc chip cookie with the words, ‘stupid raisins, stay out of my cookies’!! long live ccc’s! my guess is 475. I’m going to guess 226. I’m terrible at guessing games but I’ll give it a shot anyways… I’ll say 450! Well, you can’t really go wrong with a book about chocolate chips!! I’m really horrible at guessing, but I’ll say 418. I think around 532 chips. The cookies look great. My guess is 240. I’m going to guess 324? My guess is 444! Would love that cookbook! I’m going to guess 516! Thanks! 1273! The cookbook sounds so fun! The cookies look great, my guess is 263. 901! (hope nobody already guessed that). p.s. love your recipes!! 321……i love your website. your pictures always leave me hungry! SAD. That is how you feel when you have eaten all of these cookies. We devoured the cookies last night. They didn’t even last 24 hours. They were wonderful! I don’t know what it is about that filling; but, it is just right whatever it is. It is just the right amount of “sweet.” No more and no less.  No need for me to guess on the chips since you are my personal baker and there is no need for me to have a cookbook! My guess is 816. I can only look at your website after lunch, when I’m already full, or I have a diet catastrophe…. I once counted 15, 555 beans for a jar for a project for my son. That was a lot of beans! Hidden inside was $5 for whoever in his class guessed the closest. 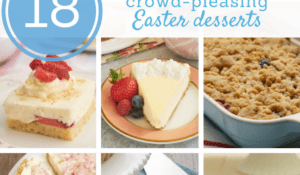 Love your blog, recipes and photos! I’m guessing that there are around 1250 chocolate chips in that vase! Yummy! Chocolate chips! Leah, I want that shirt! 333? It is a trick question. The jar has zero chips. The chips are only a picture and not real. I guess 417 chocolate chips! My guess is 415 chips. I’m going to guess 435 chocolate chips! 564 is my best guess. 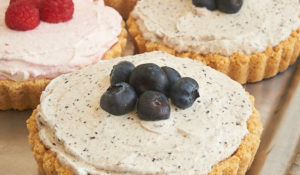 Hum, one more delicious recipe! I am guessing …. 622 chips ??? My guess is 637 chips???? Mmm, somewhere around 800? How did you manage to count them in the first place? These look so good! Now I’m craving a cookie I’m guessing 888. Wow! I certainly didn’t expect this kind of response! As far as my counting them, I did indeed count every single one. It took a while, but this seemed like a fun way to give away a cookbook. 372, she says. I can’t wait to make these! 723, there can never be too many chocolate chips. My guess is 385 chips. I believe there are 995 chips in the jar. These coolies look amazing!! I am a HUGE chocolate chip cookie fan! I will guess 888–and I love your blog! My guess is 444 chips! I love games. I’m going with 893 chips! 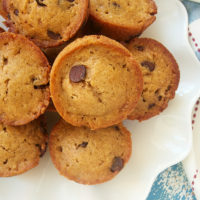 Those look so good with the creamy chocolate chip filling! These remind me of our double doozies! Hehe…I bet you never get this many comments! 🙂 The cookies look delicious. I just made your chocolate chunk & cherry oatmeal cookies & they were phenomenal! This is tough, but I’m guessing 270? 836 chocolate chips in the container! I’ll go with 444 — 4 is my lucky number, and it looks about right. 736! I hope I’m right. There are 188 chips in the jar. oooh, I’m going to guess there’s 283 in there! I’m going with 462. The cookies look divine! P.S. This is a great recipe, so refreshing and unique. The concept of having the chocolate chips on the inside is fabulous :D.
I guess 428, don’t ask how or why, it just typed itself. I am guessing 633! Wish I could test taste a cookie…or two. I’ll throw in a guess of 256. And the cookies look wonderful! Jennifer I made your Vanilla Bean Cheesecake bars this past week-end. They were a big hit with my family! I guess 301 🙂 The cookies look fabulous! I’m going to guess 425.
i’m going with 907! 🙂 love this website, thanks for the fun. I love your site!! I feel like I need to go to the dentist just looking at your photos! I guess 364! Here’s hoping! I guess 301. I am officially de-lurking. I read your blog every week & enjoy it! 362. Thanks for a lovely contest! I don’t think anyone has guessed 549 yet…so that will be my guess! I think there are 210 chocolate chips. I’m going to guess 712! I’m going to say 587. Looks like a fabulous recipe – might just have to pick up that book anyway! There are 922 chips in there – I hope! My guess is 531 chocolate chips!!! cant wait to try these! 358 🙂 They look really good–I can’t wait to try them! Alright, guessing time is over. Find out who had the closest guess over here. I made these today for my co-workers and everyone loves them. I too had trouble with the size, but it was more human error than anything else. Easy to make but they look like you put a lot of effort in. too late for a guess, but these cookies look delightful! Stacey, good to know I wasn’t alone in the cookie-sizing troubles. They’re delicious, though! I’m terrible at guessing, but I just made these cookies and I cannot express how. amazingly. delicious. they. are!! oh mannnnnnn, thank you for posting this!! Lizzie, I’m glad you liked them! looks really good!, may i know how long does the cookies keep and how to store them ? vishali, I would keep them in an airtight container for about a week.